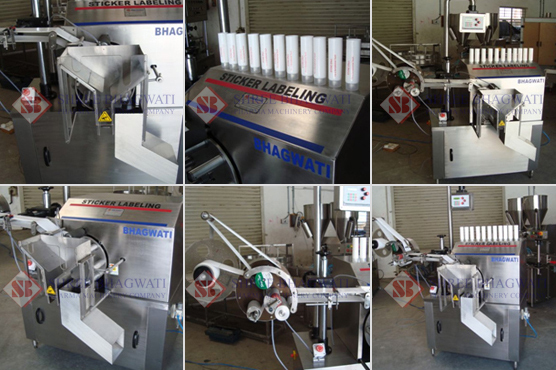 The jar labelling machine is an automatic labelling system which is used to automatically stick labels on the jars. You may have noticed that many times there is a label applied only on the front side of a jar and in some products you may have seen that there are labels applied in front and back as well as top and bottom. Different labelling machines are used to solve these purposes. There are top & bottom labelling machines, front & back labelling machines, single side labelling machines available and you can choose one amongst them according to the demand of your industrial production. Sticking labels manually can be time consuming and not accurate. Thus, to achieve accuracy and quick label application process, you need to buy sticker labelling machine for applying labels on the jars. The machines used to stick labels on tube are known as tube labelling machine. Just like other types of labelling machines, tube labeller can apply labels automatically on tubes of different shapes. You can select a tube labelling machine depending on the production requirement. As you know it is just not possible to stick labels when the production of tubes is high. 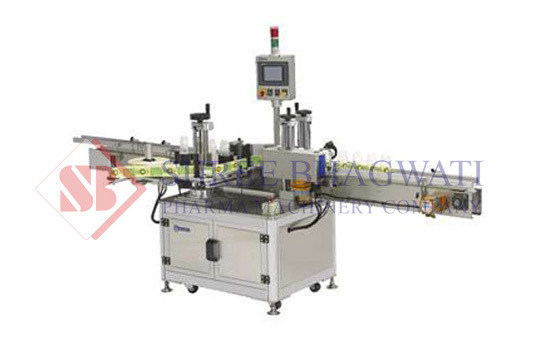 The selection of tube labelling machine depends on the size of the label, type of the label, production speed etc. There are many manufacturers of labelling machines and you can place your requirements based on these factors. They can suggest you a tube labelling machine as per your production requirement. Before selecting a sticker labelling machine, you need to carefully study the features and technical details of all the labelling machines. Based on the speed and accuracy, you can select a sticker labelling machines. Also you need to consider the containers which are being used for packing your products. Moreover, semi automatic as well as automatic functioning should also be considered before selecting a labelling machine. After considering all these parameters, you can select a sticker labelling machine which is very much important for the identification of the products manufactured at your unit.